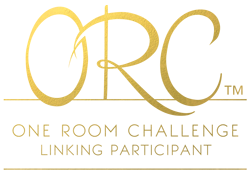 The space is kind of sad and boring and not very conducive to fun little soirees, right? 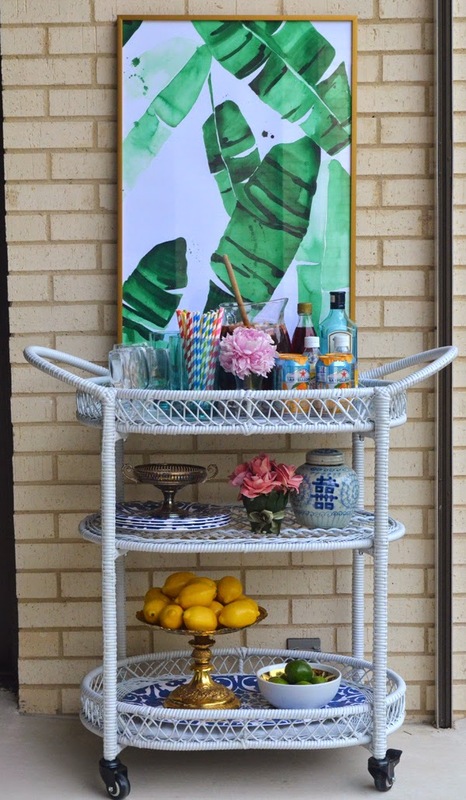 We added this super chic bar cart. 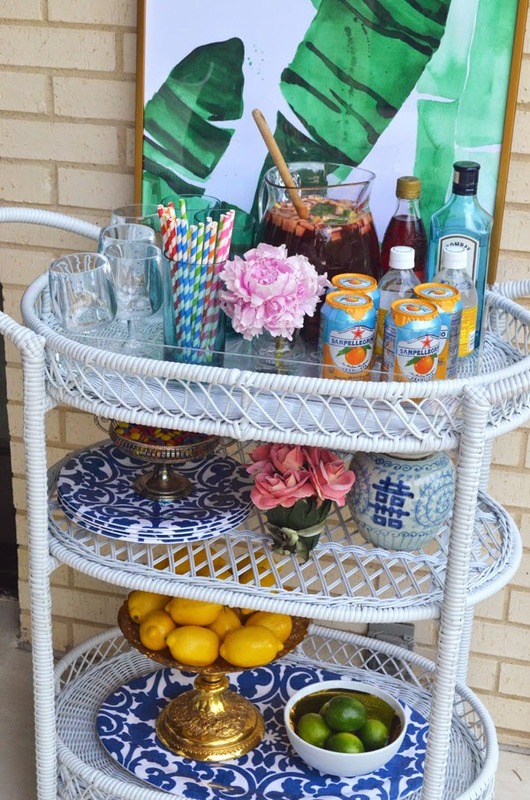 It's so practical for outdoor entertaining and al fresco dining. We load it up with all the party needs in the kitchen and just roll it outside. 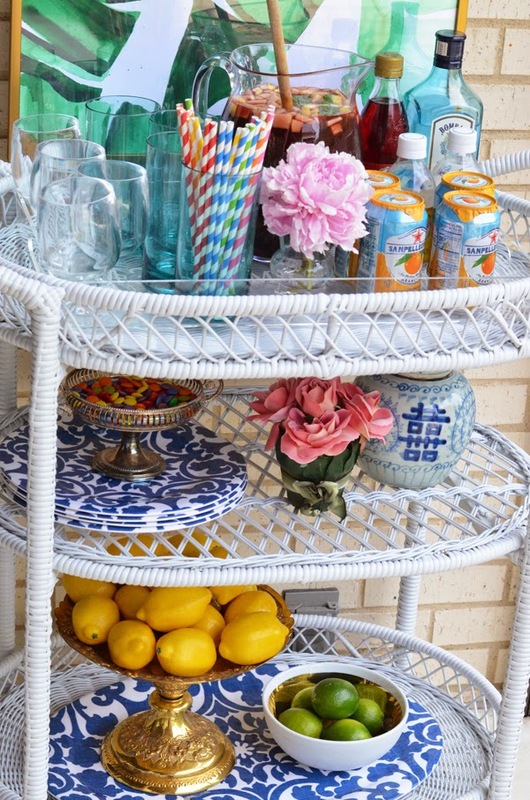 I like using the top for the bar essentials and the lower tiers for dishes and food. 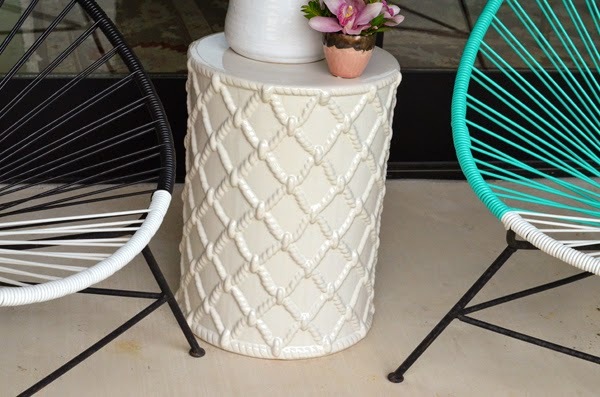 We also added the best white garden stool. I'm obsessed with it. 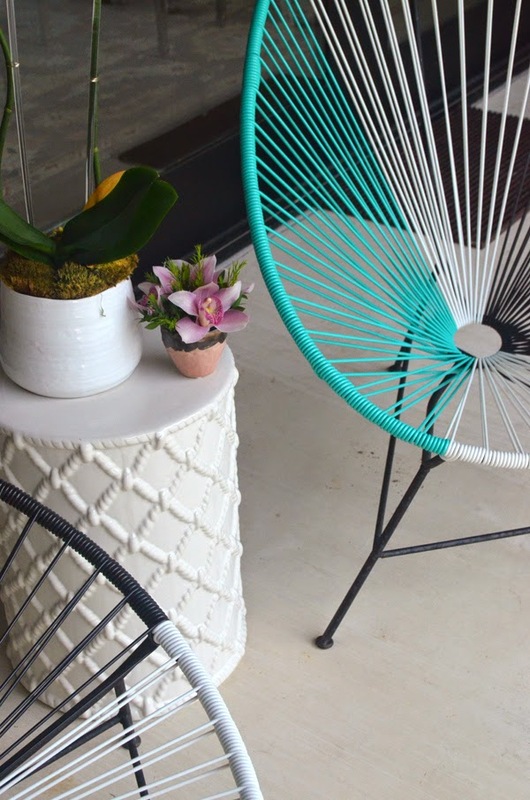 It looks so cool between my two Acapulco chairs and provides the perfect resting place for drinks and a pretty flower arrangement. 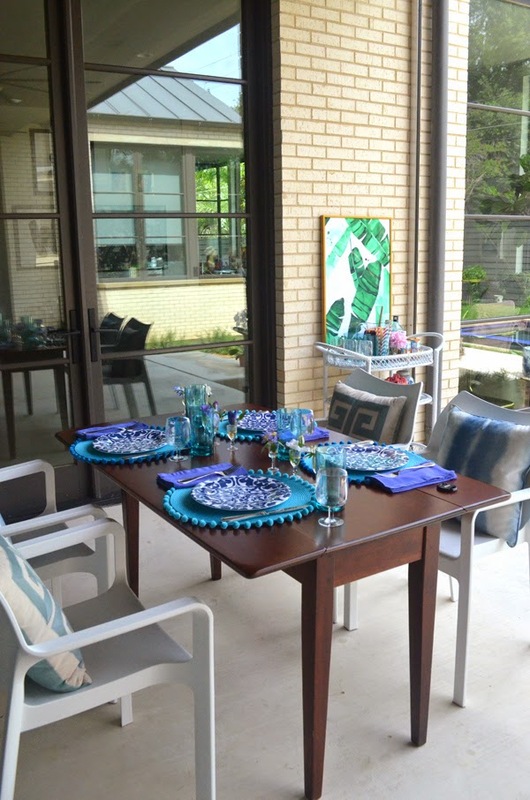 The most fun part to shop for was the dining area because Pier 1 has such great dining and entertaining options. 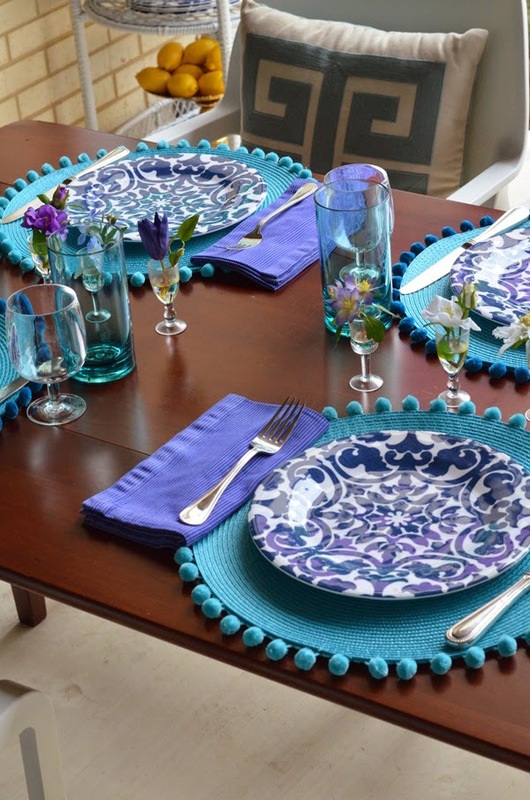 We chose the Trellis Melamine plates. I love how summery and durable they are. And the collection has a series of great serving platters that match. These are the best acrylic glasses and I love these tall blue glasses for water. 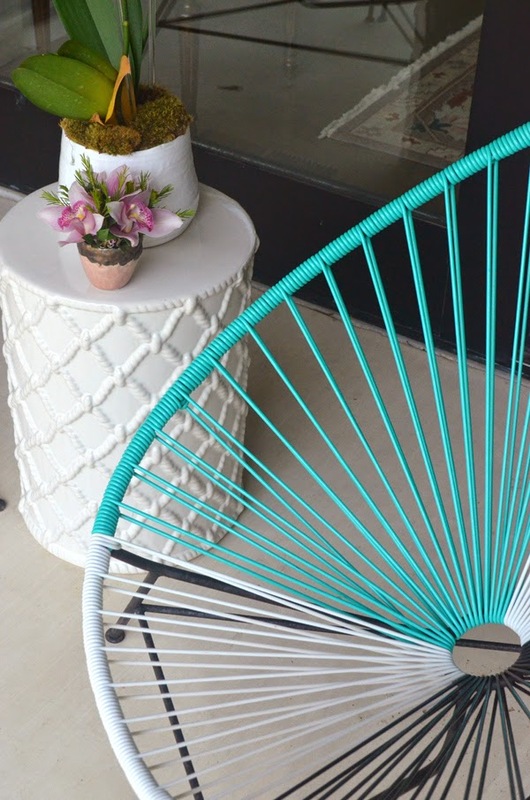 The easiest way to dress up chairs (or any sitting area for that matter!) is by adding pillows. Pillows have to be the best decorating accessory. I just fell in love with this Greek key pillow and this Ombre beauty. I really like the mismatched look by adding two of each and placing the pillows side by side. 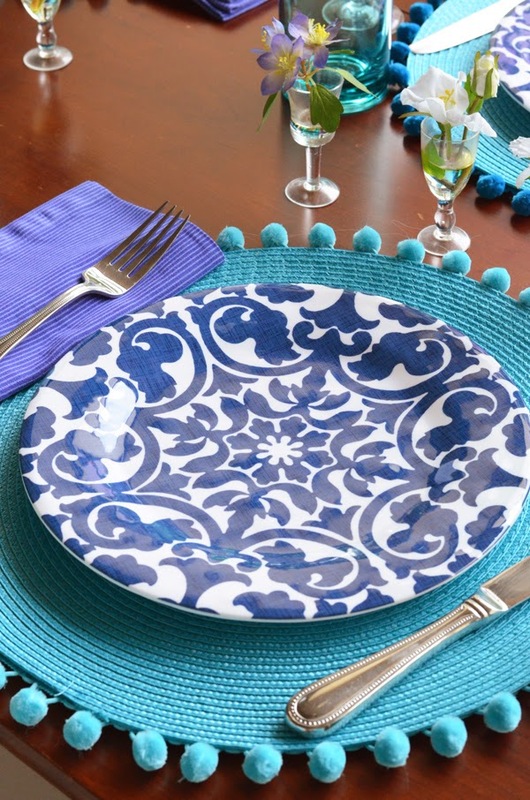 These Pier 1 placemats add the perfect touch to a dinner party, especially with a DIY added on to it! I added the pompoms. It's so easy and fun to add. 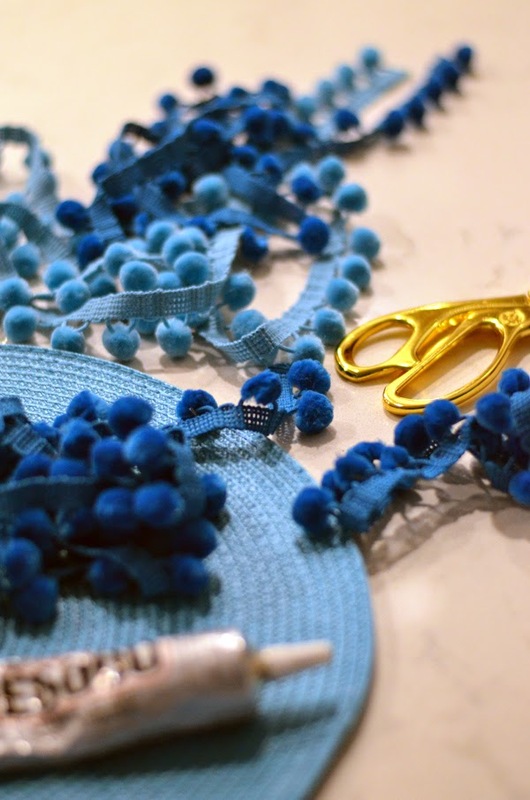 All you need are pompoms, fabric glue and a pair of scissors. They took like 10 minutes to make! The final result is adorable no? And here is the garden stool once again. Ahhhhh! We are thrilled with our improved outdoor space. 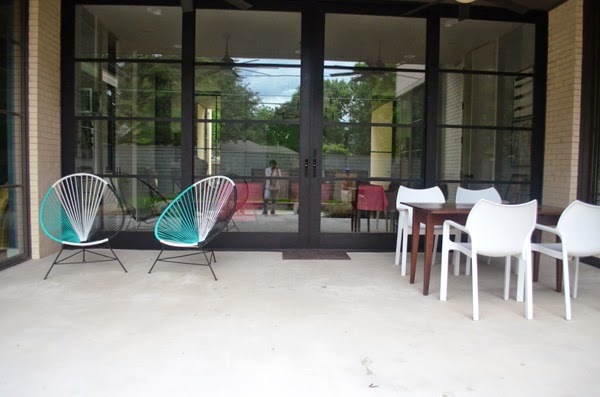 We are ready to enjoy the next few months out in our chic and practical patio. 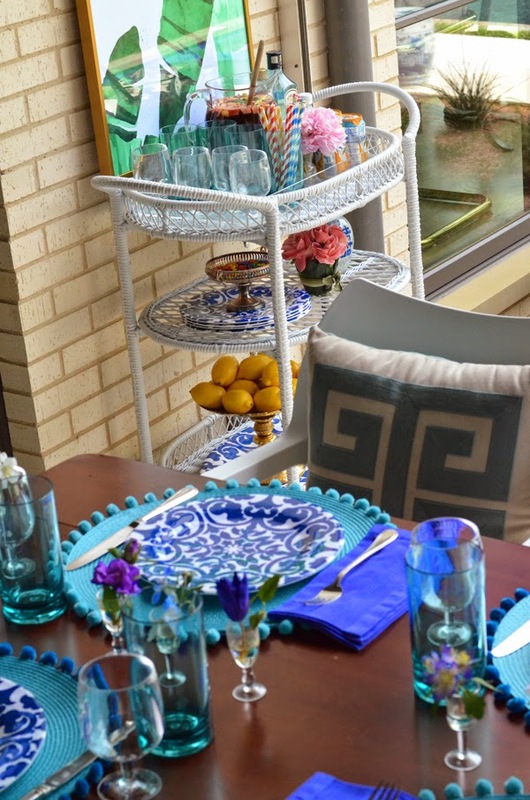 If you are looking to spruce up your outdoor space visit Pier 1; you will get inspired and find the perfect items for your space! 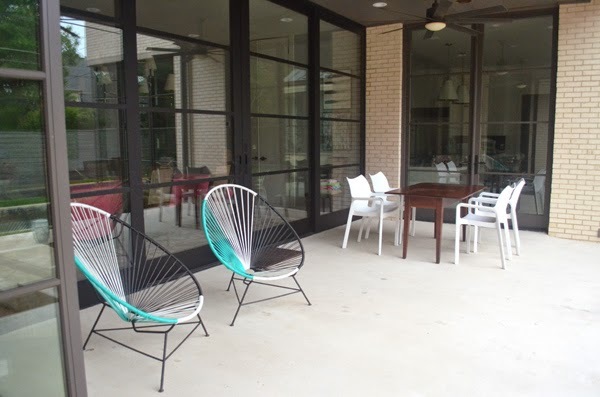 Through Sunday May 31, ALL OUTDOOR FURNITURE WILL BE ON SALE, 20% - 50% OFF! Take advantage! 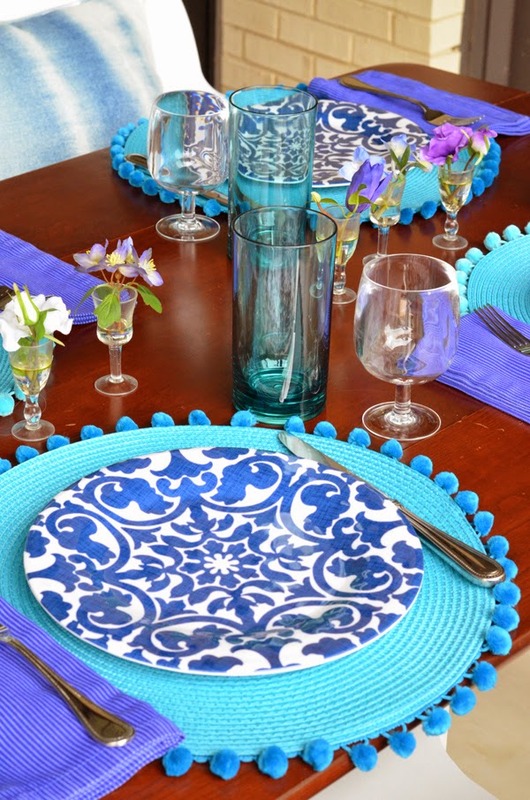 Visit Pier 1 Imports. "Find what speaks to you. See our Outdoor Living Collection in stores or at pier1.com/outdoorliving". Fabulous!! 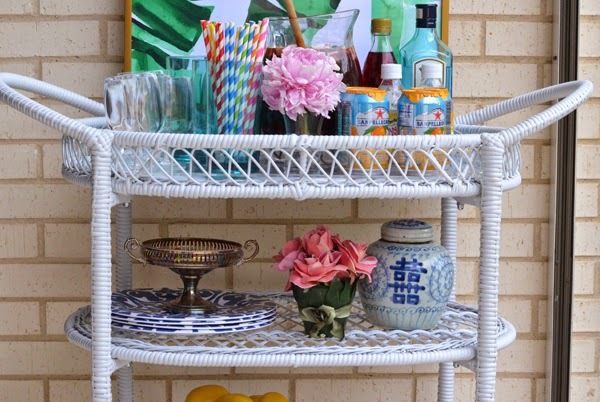 those pom poms add the perfect touch! So pretty and chic! I love everything especially the pillows and pompom trim chargers! Happy weekend! How Pretty!! My terrace and patio need some serious attention! On my way to Pier One Imports today to check out all the pretty things you displayed. I love that you added the poms! So pretty! 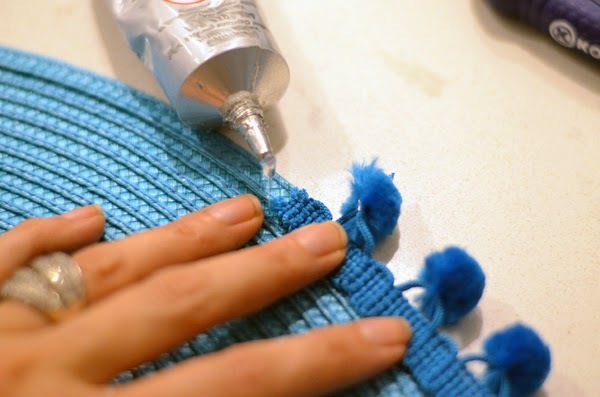 Loove this esp the DIY Pom placemats, genius!